Inspired by nature, a classic gift in shades of white, cream and green. This bouquet is a hand tied design and will be delivered in water. 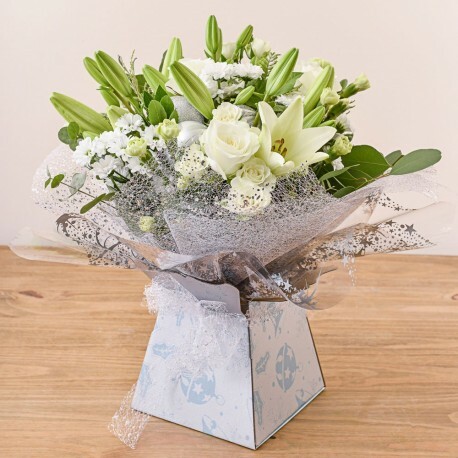 This gift DOES include lilies, please state if you require these to be omitted from your design.